Inductive charging means you'll never have to plug your phone in again, and to avoid clunky add-on solutions if your device doesn't have it built in, Duracell has created this wafer thin adapter card that slips in alongside its battery. There is a catch, though. It's only designed to work with phones that comply with the Power Matters Alliance's Wireless Charging Card specification. 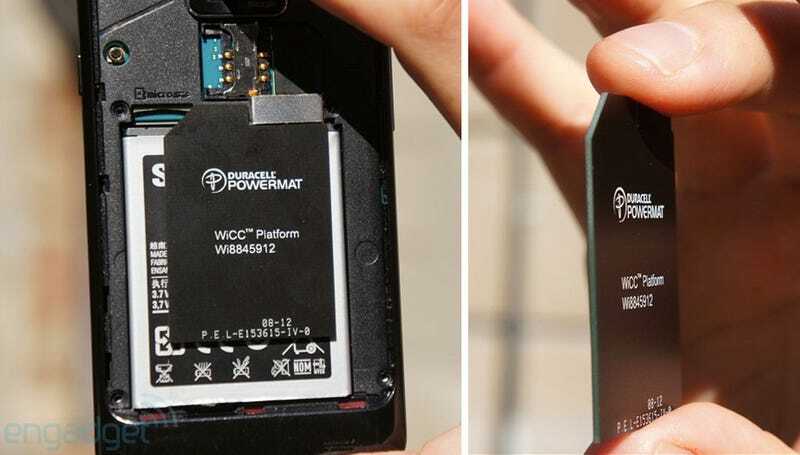 So OEMs will need to include a compatible connector where the battery interfaces with the phone, to facilitate charging, but also data transfer as the Duracell Powermat WiCC card doubles as an NFC antenna. You'll also need a phone with easy access to the battery obviously.